This photo, taken on day 8 of Callan being with us, makes me smile so much. 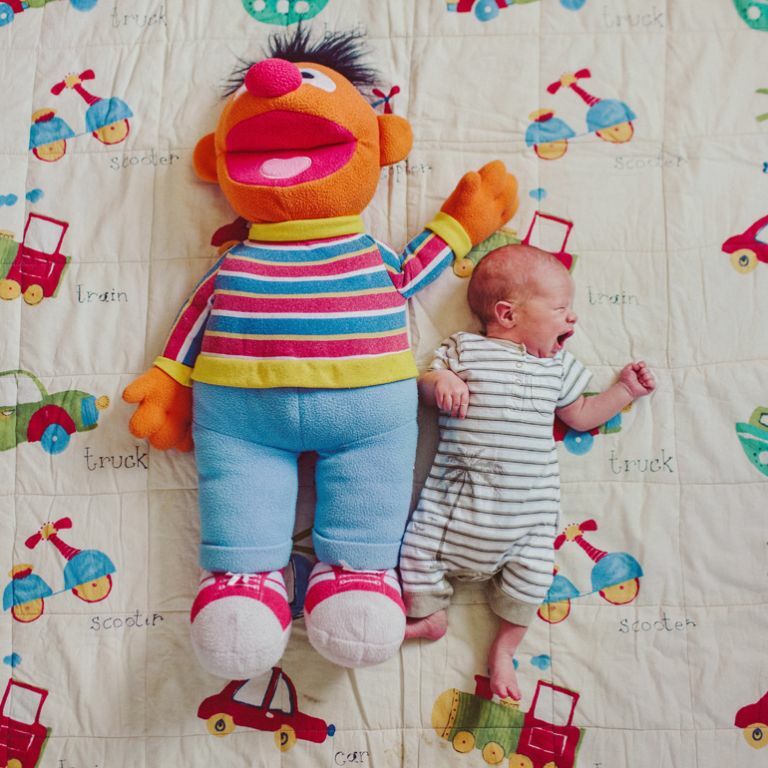 With each of our kids we’ve taken weekly photos of them next to this Ernie toy, to see their growth progress. And it’s always just as much fun seeing what expressions and poses they conjure along the way. Clearly I’m a bit behind with the photo sharing – we’re now up to Day 24 (seriously – how did that happen?!). But I hope to share a few more, and play catch-up, over the next few days. I’ve said it before and I’ll say it again – I shoulda waited til the digital age to have my kids. I love this, and I love that you’ve done it with all your kids. I don’t think I ever finished either of my girls’ First Five Years books. © 2019 Narrelle Joy – Wedding & Portrait Photographer|ProPhoto Photographer Site|Design by Northfolk & Co.